With a gallon of gas costing more than a movie rental, its no wonder that this locale near the light rail has become a hotbed for homeowners and apartment/condo/townhouse renters. At $2.60 for a roundtrip ticket (and only $1.30 for seniors and kids), its a train hop, skip and a jump to the many restaurants and retailers within walking distance of the Blue Line. 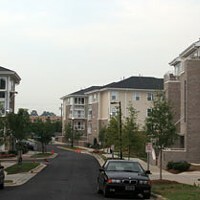 And if you can afford the swanky new digs popping up all over the SouthPark and Uptown areas, so much the better.